Just won the BEST HOME ON TOUR CERTIFICATE! 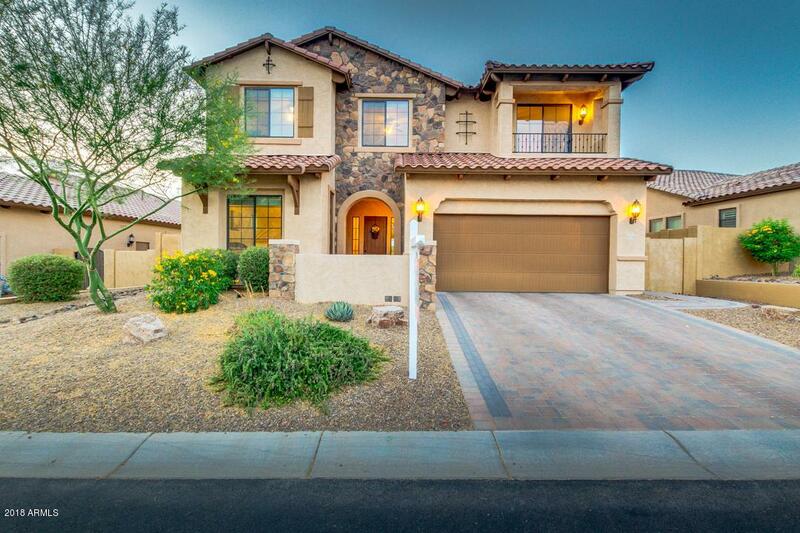 Absolutely gorgeous inside and out and located in the resort-style gated community of Mountain Bridge. 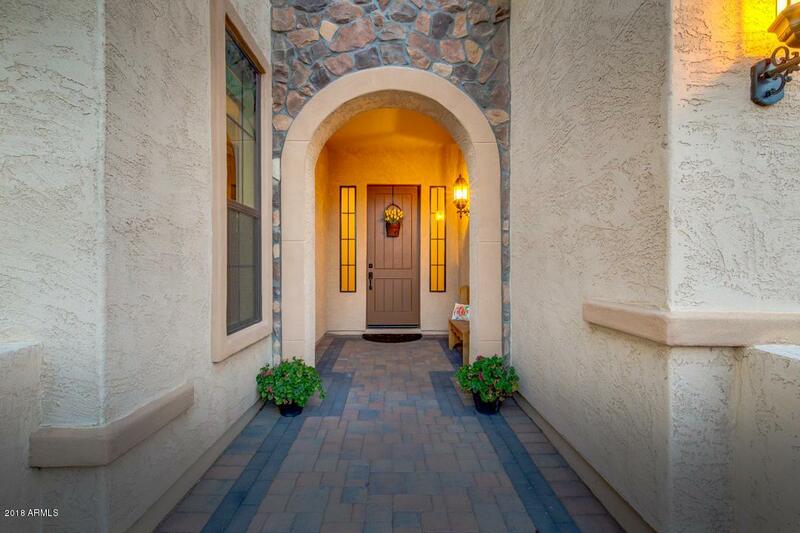 The driveway has attractive pavers that continue along the path of the home to the arched entryway. 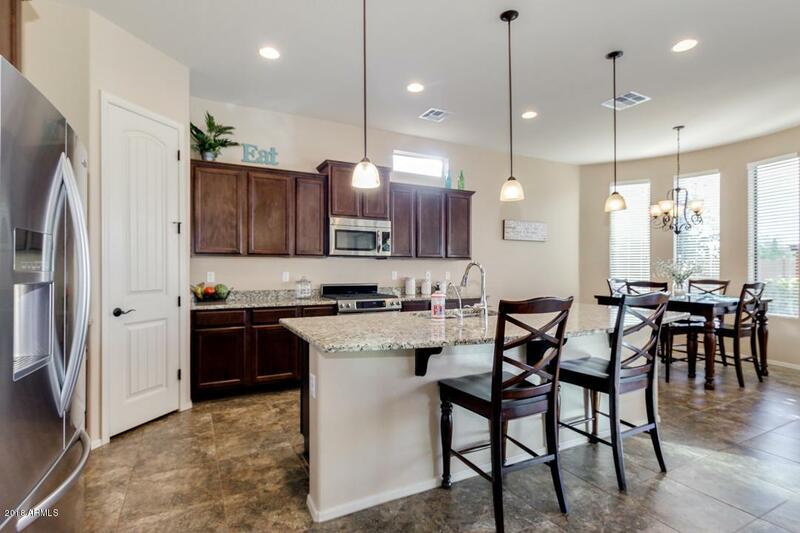 The chef's kitchen has a huge granite island for all your food prep and entertaining area. Notice the upgraded cabinetry along with the abundance of light throughout the main floor from the oversized windows. 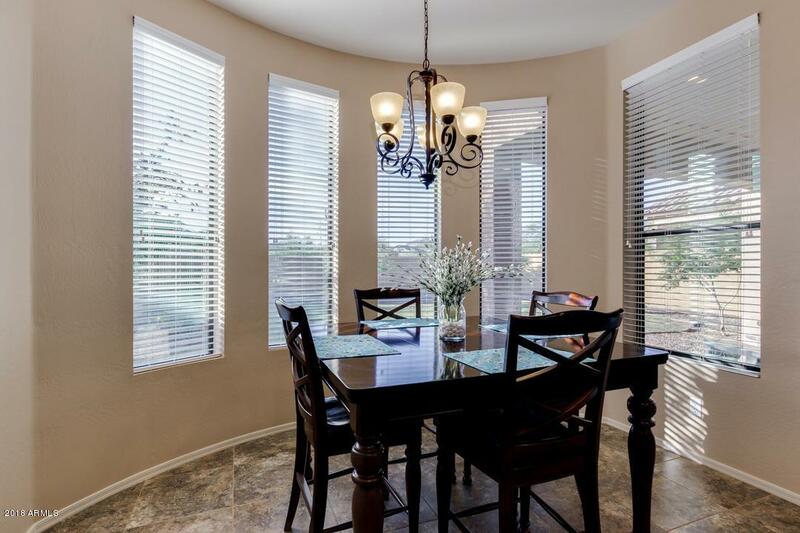 You'll love the rounded walls that add so much character to the dining area. There are two master en-suites, one downstairs which is perfect for guests or family, and the large master upstairs that is spacious and beautiful. Voted by SEVRAR Marketing/Home Tours Committee based on Best Presentation & Value! Please view certificate in Docs Tab.So many elegant upgrades to take notice of; neutral tile flooring, the oak and wrought iron staircase, the incredible master bath, and views from the upstairs balcony that you can enjoy year-round. The backyard is a private retreat that offers peaceful evenings and glorious sunsets with both mountain and city lights views. Take advantage of the countless amenities here at Mountain Bridge; enjoy swimming in the lap pool, soaking in the spa, working out in the fitness center, tennis, pickle ball and so much more. You will surely appreciate all the house has to offer.